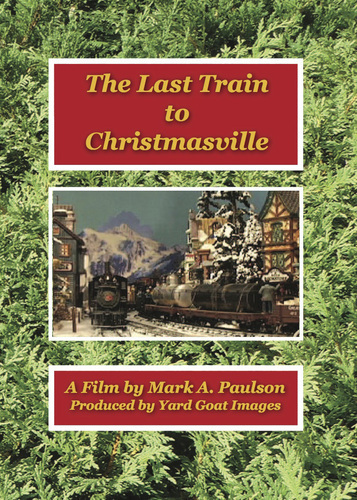 The Last Train to Christmasville is a whimsical story about an imaginary town, the happy villagers, and the trains and trolleys they relied upon to keep them connected with the outside world. Was this really the last train to Christmasville? What happened on Christmas Eve that put the celebration in jeopardy? The story is told through the eyes of videographer Mark A. Paulson, complete with special effects, holiday-themed music and real locomotive sounds. We hope the DVD and the included four page storybook will become a new holiday tradition to share with the children in your life. The Last Train To Christmasville from Yard Goat Images on Vimeo.